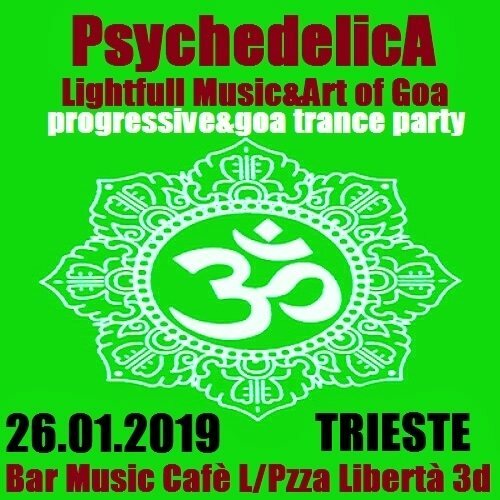 Dj El Rithmo (PsychedelicA/Goa Destination): Minimal-Full On-Goa Trance+ Fabio Vecchio Bosco (PsychedelicA): intro Psychill&Oriental Mantra. PLEASE respect the People. Come on peace or rest out. Yes happiness no drugs. No alcool under 18 years.